Regret – that’s one thing we all have. But, there are some who wear their regrets on their skin (shout-out to the tattooed population with “ragrets!”). Tattoo regrets are common. It’s normal that your present self can’t relate to your rebellious youth. It’s also fairly normal that you got a tattoo on a whim. No matter what your reason comes down to, makeup is a great quick-fix for covering up your ink. We’ve put together a bunch of products and a tutorial to help you conceal your tattoo effectively. Read on to find out more. Unless you are willing to shell out big bucks for a laser tattoo removal treatment, you can count on makeup for temporary, yet seamless coverage. With the right products, you can have your ink and hide it too. 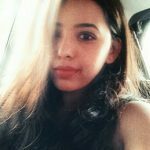 Here are some products you can try. 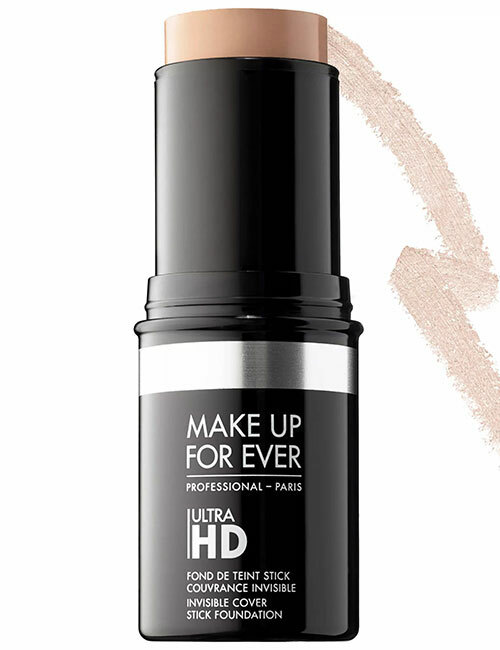 This cult-favorite foundation offers medium to full coverage for up to 16 hours. It is available in 12 shades, ranging from dark to ivory. Its highly-pigmented, transfer-resistant formula can be used to cover up a wide range of body and skin concerns. Make sure you pair it up with a setting powder for flawless coverage. 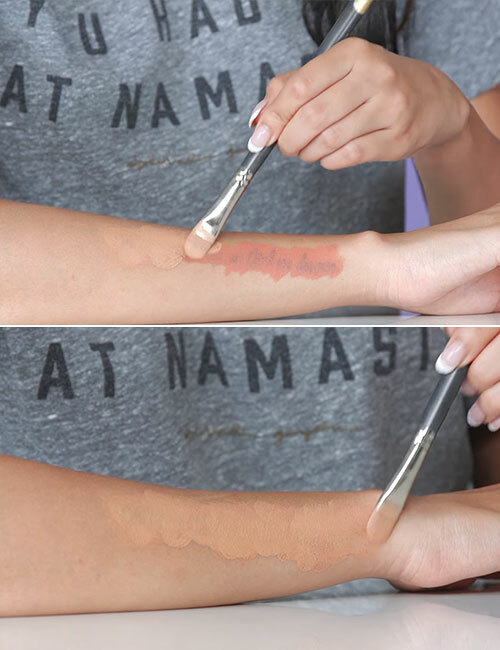 This stick concealer is brilliant for covering up those hard-to-reach tattoos. It is incredibly pigmented and easy to apply, making it ideal for beginners. 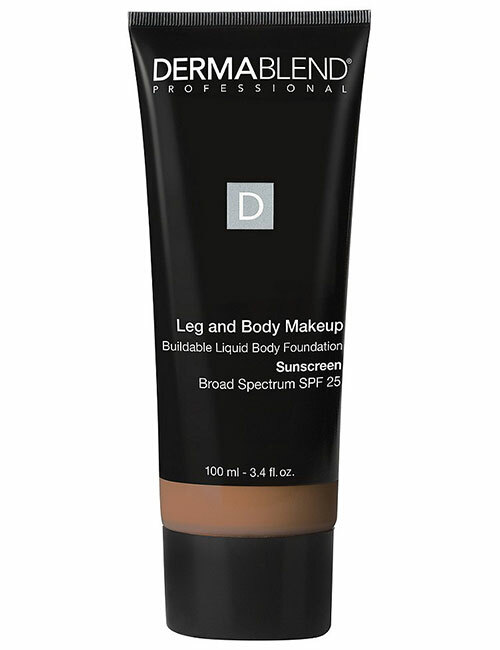 Its creamy formula will glide right on and stay in place all day long. It is available in 21 diverse shades. If you’re on the hunt for a concealer palette, you need to check this one out by Jordane Cosmetics. It is specially formulated to mask your tattoo completely. Even celebrity makeup artists swear by it. Its saturated formula color-corrects and conceals effortlessly. Once it sets (really quickly), it does not smudge, transfer, or budge through the day. 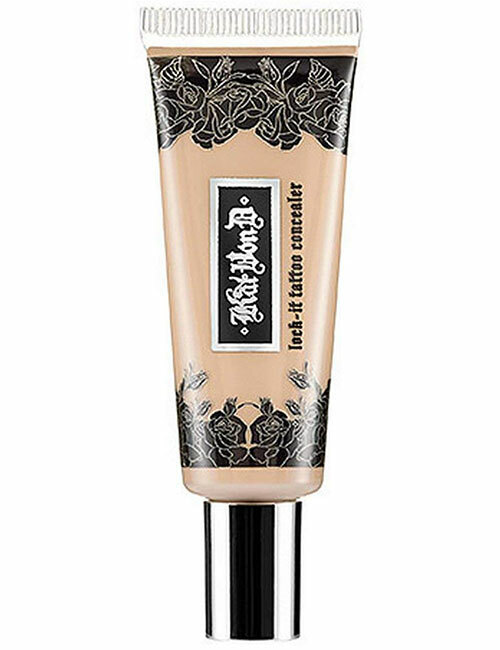 This lightweight magic potion from Kat Von D covers everything from blemishes to tattoos. It camouflages your ink with smooth, matte perfection. If you’re looking for a product that is exceptionally long-wearing, give this liquid concealer a shot. You can’t just gloop on foundation and finish off your cover-up makeup! You’ll have to seal the deal with some setting powder. 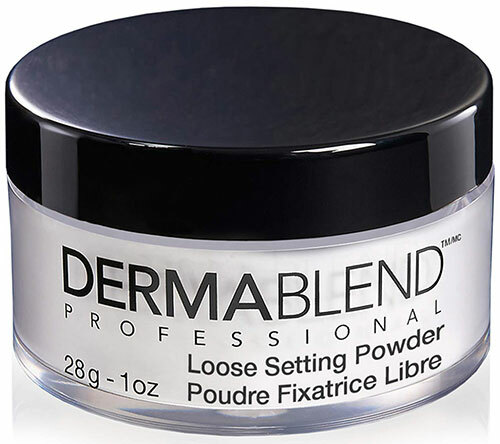 This one from Dermablend is super long-staying, and it does not oxidize or turn orange through the day. Let’s get down to work now! 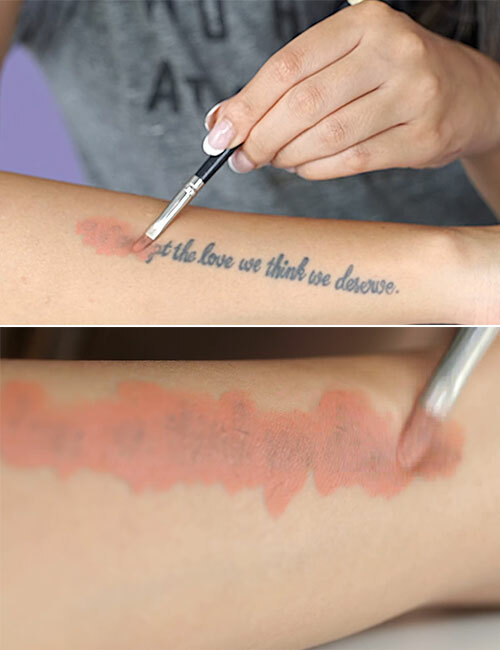 Here’s a simple tutorial to help you conceal your tattoo in a few quick steps. Your skin needs to be cleansed of excess dirt and oil before you start your makeup. This little step ensures that your makeup products work to their maximum efficiency. Wash your tattoo area with a gentle soap and water, or use a wet wipe to clean it. Apply a gentle moisturizer all over the area and massage it in using small, circular motions. Once your moisturizer has absorbed into your skin, pat a pore-minimizing primer over your tattoo. Just the way color correctors can be used to cancel out discoloration and pigmentation on the skin, they can also do wonders in covering up ink. 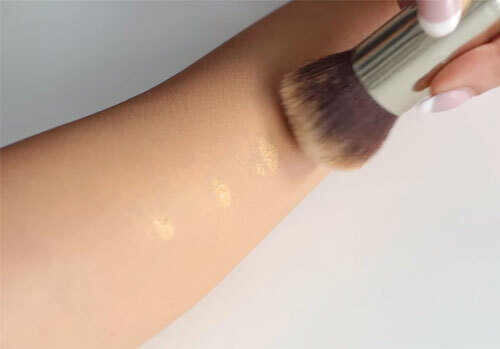 Use a small concealer brush to dab the corrector onto the tattoo and lightly blend the edges. 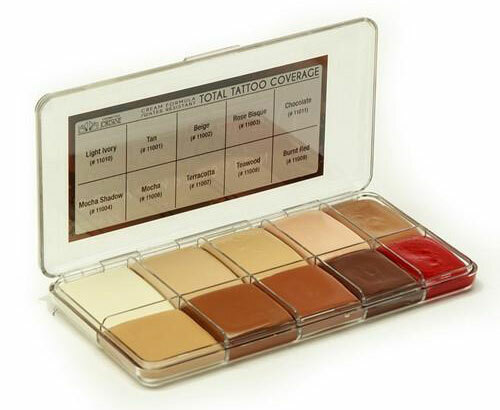 Apply a creamy, full-coverage, heavy-duty concealer on the tattoo. 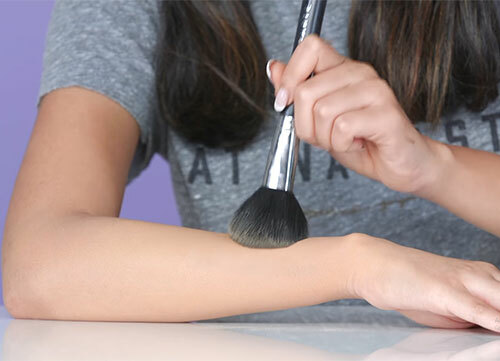 Blend out the edges with a fluffy brush. With a kabuki brush, apply a thin layer of full-coverage matte foundation and blend it into your skin. Pick a color that matches your skin tone to ensure that it blends in seamlessly. Use a makeup sponge to get rid of any harsh lines. With a fluffy brush, pack on some translucent setting powder and buff it in to seal the makeup in place. That was our take on covering up tattoos with makeup. 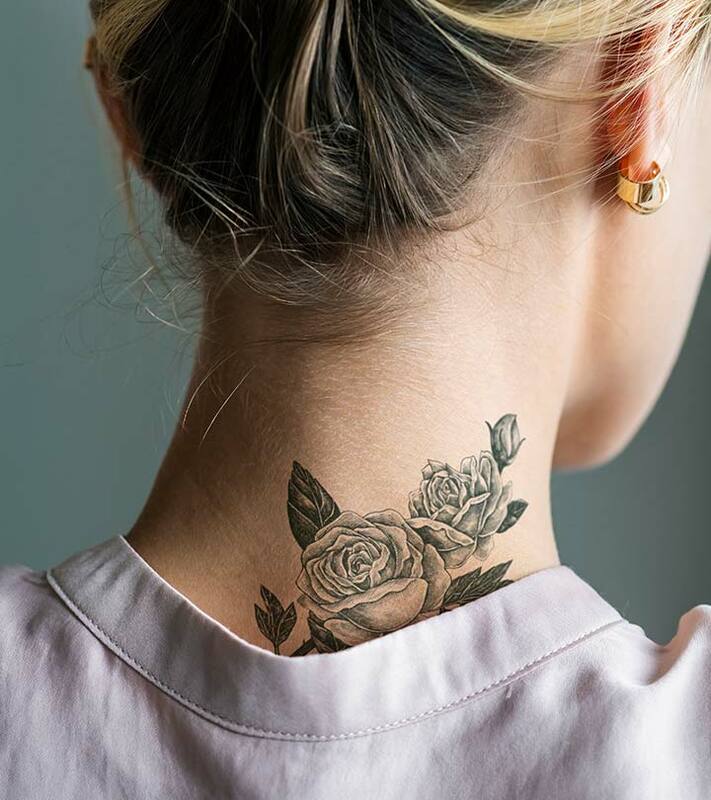 Whether it’s a job interview or a formal event, tattoos sometimes need to be covered. For times like these, having makeup tricks up your sleeve is always helpful. Here’s one: spritz an extra hold aerosol hairspray over the cover-up makeup to seal it into place. If you have any questions regarding this quick-fix, let us know in the comments section below. Is tattoo cover-up makeup waterproof? Some products are specially formulated to be waterproof and transfer-resistant. When you’re buying makeup to conceal your tattoo, make sure the concealer and foundation claim to be waterproof. 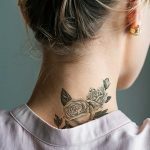 How long does tattoo cover-up makeup last? The most waterproof and sweat-resistant makeup lasts for a maximum of 16 hours with touch-ups. Yes, with the help of heavy-duty concealers and stage makeup, it is possible to cover face tattoos.